Check out three artworks made in Britain and discover the British artists behind them. This first piece is an oil-on-board work by Alan Reynolds entitled January Landscape which is signed and dated 1952/53 (estimate £10 000-£15 000.) 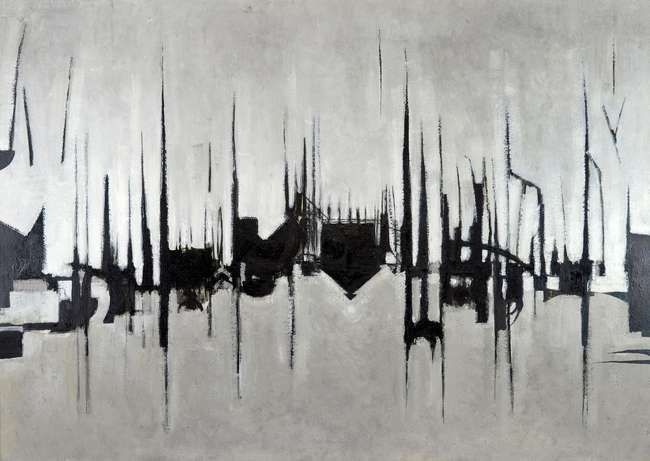 Reynolds' early abstract work is highly sought after at auction. Reynolds studied at Woolwich Polytechnic, and at the Royal College of Art, before going on to teach at both the Central School of Art and Design and St Martin's School of Art. He began his career as a landscape painter, but later became concerned with abstract art. Reynolds' work is in the permanent collections of important galleries all over the world including the Museum of Modern Art in New York, the National Museum of Canada, and in both the Tate and the Victoria and Albert Museums in London. Reynolds work showed the influence of Paul Klee and Piet Mondrian. He has been hailed by critics as "the most significant English painter to emerge in the early 1950s", and his Four Seasons exhibition at the Redfern Gallery, London, in March 1956 had been a vast success. From this show, Summer had been purchased by the Tate, Spring by the National Gallery of Victoria, Melbourne, and Winter by the Fleischmann Collection in Pittsburgh. Autumn was bought by Richard Attenborough. The previous year, Reynolds's landscapes won him the Giovani Pittori (Young Painters) award show in Rome. This work by Mary Fedden comes with an excellent provenance. The painting bears a label from The New Art Gallery verso, and a hand-written one reading 'Mary Fedden Red Flowers and Fruits, 70 Guineas'. The vendor purchased it from Abbot and Holder Gallery in London in the late 1990s or early 2000s. Bristol-born Fedden studied at the Slade School of Art in London, and painted stage sets at Sadlers Wells for a few years before returning to Bristol to teach art and paint portraits. After the war, she staged her first exhibition at the Mansard Gallery in Heal's department store in 1947. Following the show, Feddn was commissioned to paint covers for Woman magazine. Following this, Fedden painted prolifically and had exhibitions all over the UK, including murals for the television pavilion at the 1951 Festival of Britain. 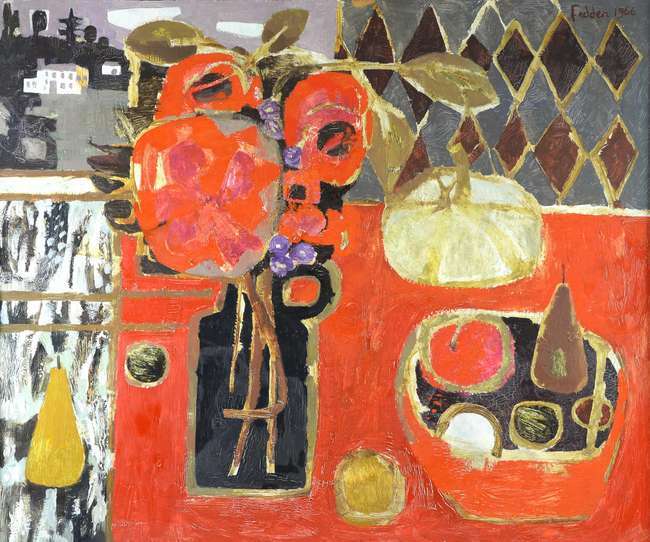 From the late 1950s, she taught painting at the Royal College of Art, and in 1992 she was she was elected to the Royal Academy.Fedden has been a member of the Royal West of England Academy at Bristol since the mid-1930s, serving as its President from 1984 to 1988. 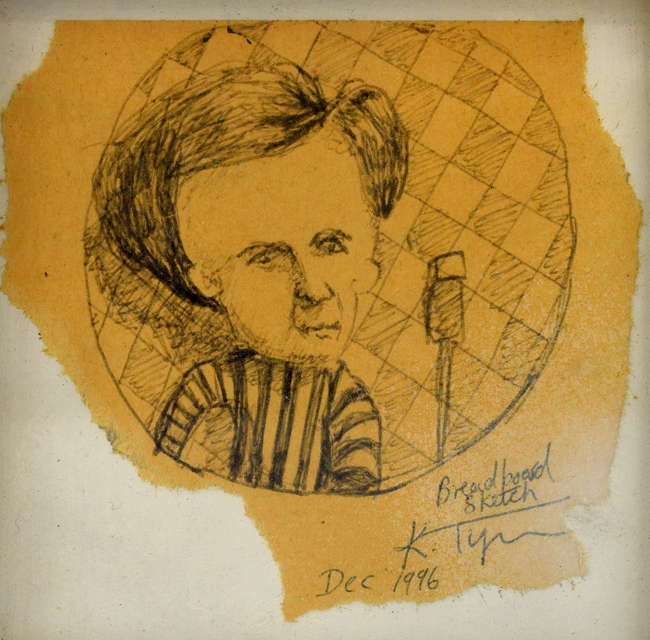 A biro sketch by Keith Tyson, winner of the Turner Prize in 2002, has been valued at between £2 000-£3 000. The sketch, entitled Breadboard Sketch has been signed and dated 1996, and measures 8cm square. It was purchased by an employee of the Antony Reynolds Gallery in London, and later gifted to the current vendor. Tyson started out as an apprentice engineer, working in the shipyards of Barrow-in-Furness. Enchanted by the philosophies of chance, logic and the mysteries of the universe, many of his early works were made with the Art Machine, a conceptual device he invented at university. The machine is programmed to generate random ideas. In 2002, Tyson was awarded the Turner Prize for his piece The Thinker (After Rodin) from his Seven Wonders of the World series in which he attempted to manifest the phenomenon of thought. Embank's Contemporary Art & Modern British Paintings sale will take place on 26th October. Check out the full catalogue here.